Explore of the unique culture of the Central Vietnam, the route encompasses the UNESCO-designated World Heritage Sites, including the ancient town of Hoi An – the sixteenth century silk route trading port and the ancient Imperial city of Hue. 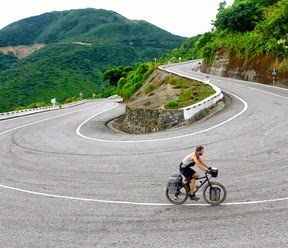 The area is rich in natural history and culture and as such has tremendous long-term potential for the development of road tourism throughout the Indochina region. Our tour guide and driver will welcome you at Danang aiport and transfer to visit Linh Ung Temple with a big Buddha statute overlook to the Danang beach. The charming, old-world trading port of Hoi An with its cobbled streets, traditional homes and tiny shop houses is a perfect place to lose yourself in a bygone era. Boutique restaurants, hip cafes along the waterfront, delightful craft shops and artisans including some of Asia’s best bespoke tailors (whose services come at a nominal price), all can be found here. Transfer to Hue city for dinner with Local specialties or Seafood buffet dinner. Overnight in Hue. Our tour guide and driver pickup your group at around 7:00 am or 7:30 am your hotel to drive out of Hue on the highway 1A to Quang Binh Province. On the way, you can see the rural life and daily of the local people, rice paddy fields, nice river and mountains …. What is price of group tour. Can I have name of hôtels ?